Choosing the right lighting is important for any room! Not only should it be functionally sound, it also contributes to the aesthetic quotient of a home. When it comes to the kitchen, lighting becomes more of a functional need - after all, the place where you cook your meals needs to be well-lit! Do Kitchens Really Need Under Cabinet Lighting? 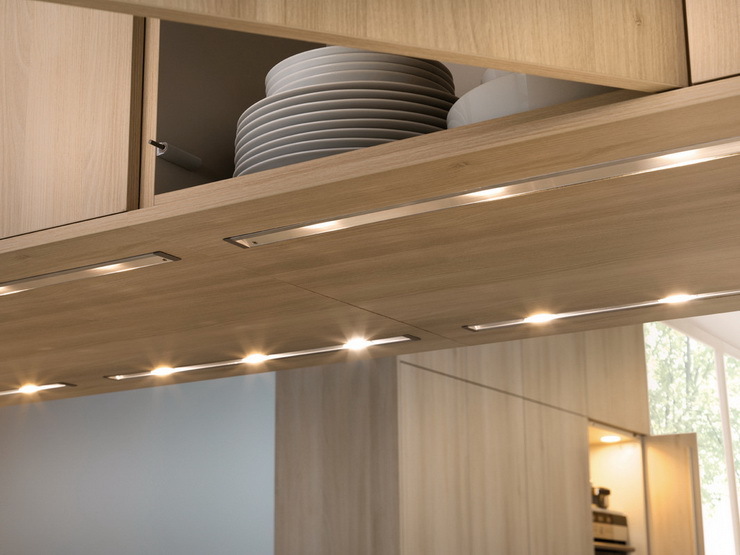 Under cabinet lighting is extremely resourceful in the kitchen - rather than installing an entire lamp fixture or ceiling fixture, under cabinet lights can be installed directly into a cabinet that is already fixed into place… making it a cost-effective choice! Secondly, it is an efficient way to disperse light exactly where it’s needed - unlike table lamps or ceiling lights which disperse light everywhere! Thirdly, as a bonus, it looks great too! The soft glow of under cabinet lighting heightens the aesthetic value of your kitchen. Definitely a plus if and when you decide to sell your home… will boost the resale value! Now, while overhead lighting and under cabinet lights are by no means new inventions, the choices in under cabinet lights have been given an altogether new meaning what with multi-dimensional functionality and purpose – Something we are going to explore in our article below! Here we’ve put together a few hacks and tips for getting right the under cabinet lights in your kitchen. Let’s take a look, shall we? Under cupboard lighting will naturally call on proper wiring set up – So do think about whether you prefer light that is connected with the mains or your electrical outlets. Remember that direct or hardwired under bureau lighting offers the comfort of a divider switch, but will require the assistance of a qualified electrician for setting up the electrical work. The last thing that you want are lights that produce a ton of heat and create a hazard in a place where it’s least needed. Research the different kinds of varieties well in advance and think of the purpose those lights will be serving. As it goes, in the kitchen, it is always wise to pick under cabinet lighting that discharges next to zero heat and so, LED fixtures are a safer bet as compared to Halogen or Xenon lights. Lights that have an in-built dimming control are way better than the static, uni-dimensional ones. For starters, High-to-Low power lighting can be turned on when the pace of activity demands so, besides which dimmers guarantee that everybody can work in the lighting conditions they lean toward best. While this may mean acquiring additional expense, do remember that it gives you substantial more command over the lighting exposure and the energy bills too. Pick The Best Under Cabinet Lighting For Your Kitchen! As is the case with lights, there are a glut of options and a slew of advantages and disadvantages that go with them. Below we explore some of the latest in lighting options, and give you a round-up on the advantages and disadvantages of them each - So you can make an en’lightened’ choice beforehand. Xenons (aka high- intensity discharge lights/ HID’s) have been the traditional choice because of their ultra-powerful intensity; it does make sense to note that they are mostly ordinary light bulbs that have been filled with a host of chemical gases including xenon inert gas. Xenon bulbs are touted to have a perfect color rendering index (CRI) and are also known to produce a lot more intense, brilliant light – almost akin to the kind of sunlight we see in the daytime. And this is why they have been popular in under cabinet lighting fixtures, albeit they don’t score too heavily on the heat emission and energy consumption. Fluorescent light is made when electricity connects with mercury vapor, thereby creating a bright light that makes the coating inside the light shine aglow. We also commonly know them as compact fluorescent lamps (CFLs), and the virtues of their ilk are many! Typically straight, in tubular forms, or winding shapes, CFLs are available in a range of various sizes and shapes. Also, they offer a scope of hues, from cool white (perfect for kitchens) to warm whites, and can even go to beautiful yellowish tones that are more appropriate for living rooms/bedrooms. The biggest pro of fluorescent lighting is that it is extraordinarily energy efficient besides having the best longevity among other lighting options. So if you’re clear about energy savings and durability as your chief priorities, do consider the available CFL options in under cabinet lighting for your kitchen. Be that as it may, fluorescent lighting options, especially for under cabinet lighting in the kitchen, have a broad scope of fittings that are appropriate for use in the kitchen. Unlike Fluorescent and Xenon lightings, LEDs utilize an utterly unique procedure to make light - one that depends on diodes and electrons. That said, LEDs have been the torchbearers of lighting technology solely because of the ease of convenience during installation and the energy efficiency they offer. Today, LED puck lights can be seen everywhere – and with good reason too. They offer practically identical execution to rival variants at a small amount of the energy cost. However, do remember that for under cabinet lighting, the wiring set-up may be a tad different, namely, LEDs don't work on the AC line but instead on the low voltage DC, so you might have to change over the line voltage. Additionally, you'll have to make sense of an approach to keep the power supply covered up, or manage with a "divider" that connects explicitly to the electrical outlet. There are a host of battery worked LED puck lights though - so give them a try and dispose of the messy look of electrical wires. Besides, if there is an opportunity your LED Strip Lights will come into contact with dampness (which is most likely in the kitchen); you can get hold of an LED strip with a waterproof IP covering. Now coming back to under cabinet lighting in the kitchen, puck lights or the trusted LED strip lights, are known to create intense, and exquisite lighting impacts. Depending on whether you’re looking for task or recessed lights, do ensure your choice of LED’s is contingent upon your preference, purpose and personal inclinations. The cons of LED lighting especially concerning under cabinet kitchen lighting is the high cost, and this may dissuade somebody on a low spending plan from making utilization of this innovation. It is more costly than the typical lighting options aside from which the life span of this light is usually subject to the temperature of the working zone. If it is continually utilized in spots with high temperatures, the working life will diminish just as it will be made defenseless to a breakdown. Make sure that your choose under cabinet lighting that’s economical, stylish and fulfils its primary purpose - giving you a well-lit kitchen! Looking for design ideas for your abode? Get in touch with Hipcouch’s experts today! Newer PostRoom Dividers Blocking The Light In Your Living Room? These Partitions Are 'Light-Friendly'! Older PostThese Flooring Trends For 2019 Will Leave You Positively 'Floored'!